A confidential review into the death of a Co Fermanagh baby shortly after his birth found that medical staff knew about the pregnancy but failed to act on missed appointments by his mother – who had mental health and alcohol addiction problems. The inquest into Joshua Johnston’s death in June heard that Wendy Johnston’s family did not know she was expecting a baby and only found out after Joshua’s “concealed birth” in February 2006. His mother was originally charged with the murder of her son but the case was later dropped by the Public Prosecution Service. The Detail can also reveal that the organisation which represents Northern Ireland’s doctors has raised serious questions about the outcome of the review. The British Medical Association (BMA) has claimed that some of the 25 recommendations in the report are not workable or practical and the association also appears to contradict a Department of Health assertion that the vast majority of the recommendations – many of which relate to mental health issues – have been implemented. The content of the confidential report can be revealed today following a Freedom of Information request from The Detail for the case management review (CMR) report on baby Joshua’s death. A rewritten document based on the executive summary of the report was sent to us from the Health and Social Care Board with names and other personal information redacted. CMR reports aim to establish whether there are lessons to be learned about the way in which professionals and statutory or voluntary agencies worked to safeguard children. In the baby Johnston case, the health and social services trust, the police, mental health experts, a doctor and an education representative were among the people who contributed to the review. The report raises serious concerns about how the pregnancies of women with mental health issues are handled in Northern Ireland and it also recommends staff training to improve understanding of the impact of mental illness in carers on children’s well-being. 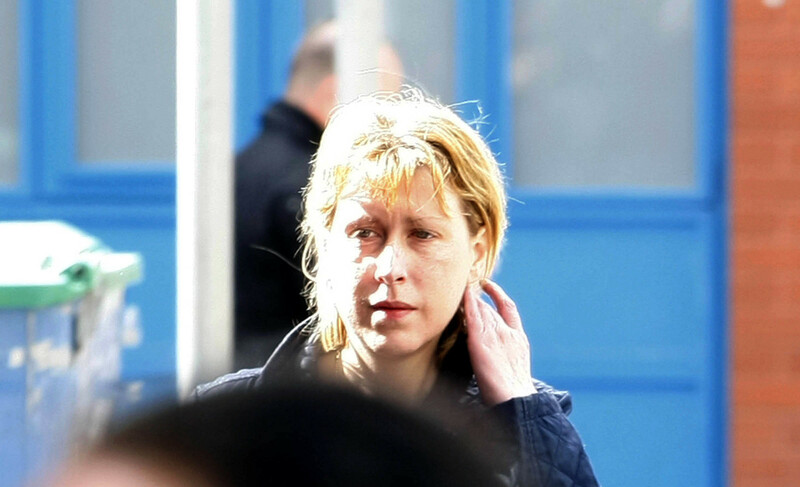 Wendy Johnston (39), from Irvinestown, kept her son’s body wrapped in towels in her house for two days after his death before telling her sister what had happened. The report concludes that “Ms X” (Wendy Johnston) had a long history of contact with mental health and addiction services and was a lone parent for a number of years. However, there was no evidence of assessment of risk or a referral to children’s social services. Her older child was cared for by family members but it would appear that all agencies, including the school, were unaware of this arrangement. And the review also states that there was a lack of appropriate multidisciplinary and inter-agency working and information sharing. The report confirms that Ms Johnston had contacted the GP out of hours service to tell them she may be four or five weeks pregnant. She was asked to attend the out of hours centre but didn’t attend. Details were faxed to her own health centre. She subsequently attended her own GP and was asked to attend again for a pregnancy test but didn’t do this and there was no follow up of contact. Ms Johnston was originally charged with murdering Joshua but the Public Prosecution Service later said that it was no longer offering any evidence against her and dropped the case in 2007. The jury were directed to return a “not guilty” verdict. The cause of Joshua’s death was determined to be perinatal asphyxia (deprivation of oxygen to the brain). The inquest in Belfast heard that there were three contributory factors – long standing hypoxic brain injury (a lack of oxygen going to the brain), prematurity and foetal alcohol syndrome. Medical experts concluded that Joshua was born between 27 and 31 weeks into the pregnancy. A joint report by five pathologists involved with the case stated that: “bruising was noted on either side of the neck suggestive of gripping” and that this was caused either deliberately or inadvertently occurred during the stress of delivery. The Department of Health received a summary of the full CMR report in December 2007 and the full report in January 2008. A department spokeswoman told The Detail that 23 of the 25 recommendations have now been fully implemented. The two which have not been implemented are that schools should check address/contact numbers of primary carers for children on an annual basis and that there should be training for staff in Mental Health Services, Community Child Health Services and Family and Child Care Services to enable a shared understanding of the impact of mental illness or personality disorder and substance misuse in carers on well-being of children. The department did not specify why these had not been followed through. •	GP referrals to obstetric services should indicate risk factors such as mental illness or personality disorder and substance misuse and also highlight if the patient has presented late for antenatal care. •	When a patient who has been advised to attend GP out of hours centre for assessment does not attend, contact should be made with the patient to ascertain reason for non-attendance. •	The Trust should review communication interfaces between Family and Child Care Services, Mental Health Services and Health Care with regard to mothers receiving mental health services with young children. •	Where there is a risk of significant harm to a child or in a situation where there is a history of mental illness or personality disorder and substance misuse child protection procedures should be invoked in order that a comprehensive assessment of risk be undertaken. 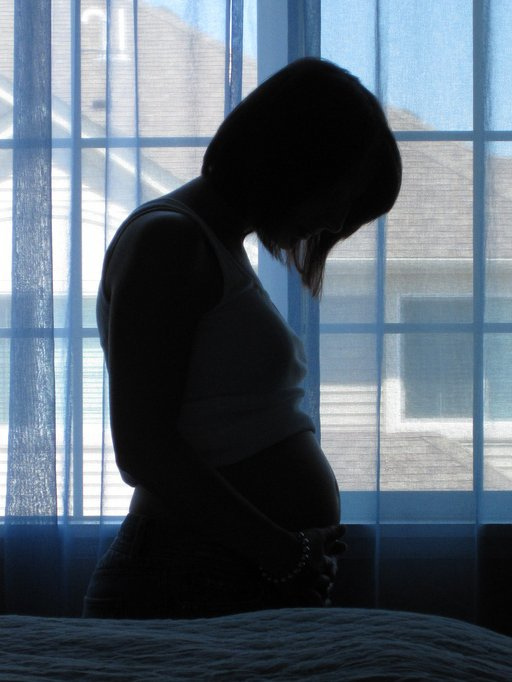 •	Primary care should offer two alternative dates or two successive appointments to women known to have mental illness or personality disorder and be substance misusing, where there is an indication that they may be pregnant. •	Each Accident and Emergency Department should develop a protocol for the interface between Accident and Emergency and Woman and Children Services when an adult (parent) presents to casualty with self-harm or alcohol related issues to ensure consideration is given to any child in the household whose welfare may be at risk. •	Community Mental Health Teams in receipt of referrals that indicate or involve a potential child in need or child at risk should refer such cases to the social work member of the team. We asked the BMA for a comment on the case and also whether changes have been implemented in GP care of women with alcohol and/or mental health problems as a result of the report’s findings. Dr Brian Dunn, chairman of the BMA’s GP committee in Northern Ireland, said: “We all regret such incidents and they should be fully investigated. However, recommendations coming out of such an investigation should be practical and workable. 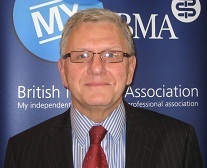 “There are between eight and 10 million consultations in general practice each year. Patients attending their GP are generally living independently and GPs cannot compel anyone to attend or to keep appointments. “GPs follow up out of hour contacts but cannot follow up each patient who does not attend for an investigation or appointment. “This was a special case. There are however many special cases – children with drug/alcohol abusing parents, elderly people with memory problems, vulnerable adults with mental health problems, and many more. We also contacted the Northern Ireland Association for Mental Health (NIAMH) to ask if the association felt changes were needed in the way pregnancy is handled for women with mental health issues. Audrey Burrows, acting director of NIAMH, said: “Pregnancy is a major life event for all women, but for women who have mental health problems additional support should be available throughout the pregnancy and a period of time afterwards. She also called for joint training to be developed to include Midwifery, Mental Health Nursing, Family and Childcare and Child Protection to ensure best practice is implemented throughout Northern Ireland. And she continued: “There is a real need for a joint protocol to be endorsed across all Trust areas that ensures mental health professionals are involved in the assessment/planning and implementation of a pregnant woman’s care plan who is known to have/or assessed as having mental health issues so that any associated risks factors can be managed effectively and safely for both mother and child and the wider family circle. A Department of Health spokeswoman said: "The Department received a copy of the summary CMR report in December 2007 and the full report in January 2008. “Based on a report provided by the HSCB in connection with report 31, with the exception of recommendations 9 and 23, all recommendations have been fully implemented. “Under current arrangements, the Department has no role to play in either the making or acceptance of CMR recommendations."